“Heaven and earth will pass away, but My words will by no means pass away.” -- Mark 13: 31. NKJV. We live every day of our lives thinking about what we are going to do tomorrow. We also plan for future vacations, growth, accomplishments, and career goals. Even when we are planning for our day each morning, we are thinking about future moments in our day and how we are going to handle each one. Seldom do we think about the moment that we are living in the here and now. That is because we are living a fast-pasted life, and some of us can’t or won’t slow down to “smell the roses” even if we had the chance, because we feel the need to always be on the go, or we are thinking of future moments and achievements we can make here on earth. Consequently, many people miss out on the little things that can make their lives so special. One of those little things is recognizing what God is doing in their lives. In other words, most people forget to focus on the blessings that God is bestowing on them and more importantly, they forget to praise and thank God for all that He does for them moment by moment. Some Christians are also so focused on the themselves and their distant but daily future on this earth that they can’t find the time to even share the Gospel message with another. and all its glory like the flower of the grass. their beauty fades as quickly as the beauty of wildflowers. and the flowers fall away. – I Peter 1: 23-25. NLT. In other words, at the moment of our re-birth we have put on immortality. The Apostle Paul also wrote: “For this perishable must put on the imperishable, and this mortal must put on immortality. But when this perishable will have put on the imperishable, and this mortal will have put on immortality, then will come about the saying that is written: ‘Oh death where is your victory? O death where is your sting? The sting of death is sin, and the power of sin is the law; but thanks be to God, who gives us the victory through our Lord Jesus Christ.’” – (I Corinthians 1: 53-57. NASB). In other words, at the moment of our Salvation we have taken off the perishable and the mortal and we have put on the imperishable and immortality, so that we can begin living in our “present” future; a future that started at the moment when we gave our heart to Christ and it will culminate in a future eternity with God and Christ in immortality. Our present future then is what we are building upon day by day as we live for and work toward our future eternity with God and Christ while sharing in our present future the glorious Words of God with other believers within the present and future Kingdom of God. In order to truly live for our present future, though, each believer must begin to focus on the enduring Word of God through which they have become the imperishable seed, and then actively share God’s Word with everyone they encounter who has not heard the Good News. Believers must also focus on living out the Word of God in such a way that others can see Christ in their life. In other words, believers should be working on their present future daily which will culminate in their eternal future. It is therefore important for Christian believers to quit focusing entirely on what is temporary on this earth, i.e., on obtaining only the temporary things of this earth like power, status, collections of items, etc. Instead believers need to focus on what is permanent, imperishable, and incorruptible, which is the sharing of the Good News, while living out their eternal life each day with love, joy, peace, patience, kindness, goodness, faithfulness, gentleness, and self-control. For, everything that a believer does after they have given their life to Christ will have either a negative or positive influence on each of their day’s present future as well as on the eternal future that they will one day experience in Heaven with God and His Son, Jesus Christ. “Through the written Word we discover the Living Word – Jesus Christ.” – (Billy Graham in Quotes. p. 141., c. 2011). One of the ways that believers can give sacrificially is to become active relational Christian mentors for the Lord. For, it is through the sacrificial giving of our time and energy as well as through our expression of sacrificial love that we can reach out to another woman and help meet her spiritual needs as well as to help her learn something that she may not have been able to learn without our help. In fact, no matter what kind of help you might give her during your mentoring, whether it be counseling, coaching, teaching, sponsoring, spiritual guidance, accountability mentoring, or the sharing of your gifts, talents, or knowledge, you are doing work for the Lord. You are actively and relationally sharing and expressing your love of Christ and His love for her through your actions, expressions, kindness, and caring. Also, by engaging in Christian mentoring you are not only helping another woman, but you are working on your present future which will lead directly into your eternal future. “While we read the Word, its message saturates our hearts, whether we are conscious of what is happening or not.” – (Billy Graham in Quotes, p. 143., c. 2011). What then is So Important About the Word of God? The Bible, i.e. the Word of God, is not some piece of hearsay or someone’s opinion as are other so-called religious books written by false religions. It is not some piece of questionable knowledge that can be found on the internet, or information that is still subject to an author’s biases, degree of knowledge, or political agendas. Rather the Holy Bible is completely true and it is the Word of God that was given to God’s Holy Spirit inspired writers. 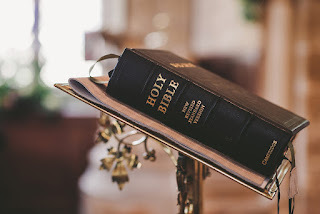 For, “All Scripture is inspired by God and profitable for teaching, for reproof, for correction, for training in righteousness; so that the man of God may be adequate, equipped for every good work.” -- (2 Timothy 3: 26-17. NASB). These verses tell us that the Word of God is not only the source of all we need to know and learn about conducting our life here on earth, but the Word of God is good for correcting and helping people. Therefore, it is also good for Christian mentors to use as their resource in mentoring. This means, too, that the Word of God is the foundation for who we are, and that it is the foundation for who we can become as a child of God’s. Most importantly the Bible, God’s love story, presents the path to eternal life through Jesus Christ, our Lord. Indeed, it is with the following words that we learn just how much God loves us. “For, God so loved the world, that He gave His only begotten Son, that whosoever believeth in Him should not perish, but have everlasting life.” -- (John 3: 16. KJV). God’s offered gift of Salvation is explained within the pages of the Bible. God’s mercy and grace is also explained within the Bible. And, God’s knowledge, wisdom, and direction for our lives can be obtained from reading and meditating on the Word of God. Moreover, God’s Word is the greatest mentoring resource of all time. Furthermore, we cannot know how to mentor others in the Word of God and in God’s Truth and Salvation without knowing the Gospel message and without knowing that Truth can only be obtained from reading the Word of God. This is why every born-again Christian woman should be reading her Bible daily, meditating on the Word of God, and praying faithfully through Jesus Christ, our Savior. The Bible is not just a collection of poetry, songs, prose, fables, dramas, or myths, although there is poetry, songs, prose, and dramas within the Bible. Nor, is the Bible, as some people believe, just a list of all the horrible things people do to each other or just the recorded promiscuous and evil acts of human beings. Rather the Bible is a true record of the relationships between people who were living in this fallen evil world during biblical times. These stories are there for us to learn from and for us to gain wisdom and to hopefully not repeat some of the same mistakes that others have made. Furthermore, God does not try to sugarcoat the truth of the human race, but instead shows us that some of those recorded relationships were built upon God’s love, while others were built upon the evil emotions of some people and the basic evil desires of this world. Most importantly, the Bible is also a record of how God’s love can help people navigate and walk honorably with truth, faith, beauty, and love during their journey within this fallen world. The Bible also tells us how to develop a beautiful relationship with God for all of eternity; a relationship that is built upon our trust, faith, and love for God and His Son. Moreover, loving and living for God and His Son, Jesus Christ, means that we can then have better earthly relationships as well. In fact, the Bible is not a human book at all. For the Bible is the inspired Words of God given by the Holy Spirit to His chosen men to record. These chosen men used their own vernacular as well as their own historical, cultural, and personal backgrounds to establish the biblical context. Therefore, it is through these God inspired authors that we are able to get to know God and Jesus Christ personally. It is also through these authors that we get to understand what God expects of each of us and how we are expected to conduct our lives. Thus, reading the Bible and then being able to share our godly insight with other women is an honorable and loving service that we all can perform for the Lord. Ultimately then, it is through the Word of God that we can share the Good News of Salvation with those women who have as yet to come to know Christ as their Savior. It is also through the Word of God that we can live out our present future in anticipation of our eternal future. The Word of God Offers Us Salvation. The Word of God is not just a bunch of stories or just the history of the Jewish people, as some would like you to believe. Yes, the Bible is about the Jewish people whom God chose to be His representatives to the world. But the Bible is actually a microcosm of human life illustrating our human foibles, needs, desires, and blessings as well as our disobedience to God and our failure to honor and glorify God, as told by God’s inspired writers. Moreover, the Bible is also God’s love story toward all people and within that love story, the story of God’s ultimate sacrifice to save people everywhere from eternal hell. It is because of God’s all-encompassing love for us that He paid the ultimate price for our sins; for each and every one of us are sinners. Indeed, we are born sinners as we are the children or the offspring of Adam and Eve who originally sinned against God and were then thrown out Eden. Their sin not only meant that they were sinners, but that their descendants would each be born sinners too, and their descendants would not only live in a sinful fallen world, but they would each sin every day of their lives whether in seemingly small acts of sin or large ones. Then because of people’s innate sinfulness, the result of this sinfulness would not only bring physical death, but without cleansing from our sins, each person would also receive spiritual death within an eternal hell. However, for those people who turned from their sinful nature and lived for God, there would be something greater, i.e., eternal life or an eternal future. New believers should then live and focus on being of service to God and others within their present future which ultimately then leads into their eternal future with God and His Son. Unfortunately, before Christ died and arose from the grave conquering eternal death, people could not turn from their sinful nature on their own. Remember, God cannot look upon sin, so God knew that people would have to be cleansed from their sins if they were to receive eternal life with Him. That righteous cleansing could only come in the form of the ultimate blood sacrifice to be given through the life of God’s Son, Jesus Christ. So, God sent his only Son, Jesus Christ, to die on a cruel cross for our sins. Was that the end? No, for there was the glorious outcome from God’s sacrificial love in the giving of His Son to die for us. That outcome was that death could not conquer Christ. Hallelujah, Christ arose from the grave on the third day thus conquering eternal death! Now, with Christ’s cleansing blood, those who believe on the risen Savior, Jesus Christ, can have eternal life and can be saved for all eternity, i.e., if they believe on the living Son of God. And, that glorious eternity starts the moment that a person is born-again. Now, each born-again Christian can live for their present future which is to live and produce fruit for the Kingdom of God. Then every piece of godly fruit that they produce for the Kingdom of God will be stored up in Heaven as rewards and crowns for their eternal future with God and Jesus Christ. “A computer … has no worth unless it is programmed … The believer has tremendous potential, but that potential cannot be used until he is programmed with the Word of God.” -- (Billy Graham in Quotes. p. 144., c. 2011). “Oh that we would hunger to be filled with the Word of God; for there is no greater armor, no greater strength, no greater assurance that He is with us, and in us, when we go forth in battle equipped and nourished by His instruction and determined to stand firm on His promises.” – (Billy Graham in Quotes. p. 144., c. 2011). If you do not know Christ as your personal Savior, but want to, you can easily become a born-again Christian. “Whoever will call upon the Name of the Lord will be Saved.” -- (Romans 10: 13.). Judgement day will come at some point, as all of us will die a physical death someday, i.e., unless Christ returns first. Those that die having given their heart and soul to Christ will have a future eternity with God in Heaven. However, those who die having rejected the Good News and Christ will have a judgment day that will bring them eternal hell. I hope anyone who reads this blog and who has not already given their life to Christ will come to the realization that God loves them so much that He sent His only Son, Jesus Christ, to take upon His shoulders their sins and to die on a cruel cross, but that He then arose from the grave conquering their eternal death. “For God did not send the Son into the world to judge the world, but that the world might be saved through Him. He who believes in Him is not judged; he who does not believe has been judged already, because he has not believed in the only begotten Son of God.” -- (John 3: 17-18. NASB). Believe, confess your sins to Christ, and then ask for His forgiveness. If you truly believe and are repentant, you will be forgiven your sins and Christ will come into your heart. Then tell someone what Christ has done for you. Tell them that you were Saved by His grace and mercy. Then start reading the Word of God, i.e., the Bible, daily to learn how to live for Him and to learn how to live in your present future with love, caring, kindness, self-control, peace, patience, honesty, truthfulness, and joy. Finally, find a church family that believes in the Bible and Jesus Christ. For, Christ wants His people to communicate and help each other. You will finally understand that the peace that comes from knowing Christ as your Savior is unexplainable in earthly terms. But it is wonderful! It is eternal! If you would like to learn more about Active Relational Christian Mentoring and the importance of sharing God's Word you can get my book entitled: The Three-Strand Cord of Active Relational Christian Mentoring from Amazon, Barnes and Nobel, Christian Faith Publishing Co., iTunes, or Google Play. The following is a link to Amazon.